Links on this page are part of an affiliate program and I will receive commission from bookings. New York City has so many options on things to do that sometimes it can be overwhelming. To make it easier for you as a visitor, I’ve put together a list of my top 50 things to do here. To get the check list click on the blue button below. I also recommend using the map at the bottom of this page as you explore to make it easier to find everything. To make your exploring even easier use this map I made to find each location! Pay special attention to the five sections; food, drink, attractions, active/adventure, and entertainment. You can filter the map based on these categories by clicking the icon on the top left of the map that has the arrow. 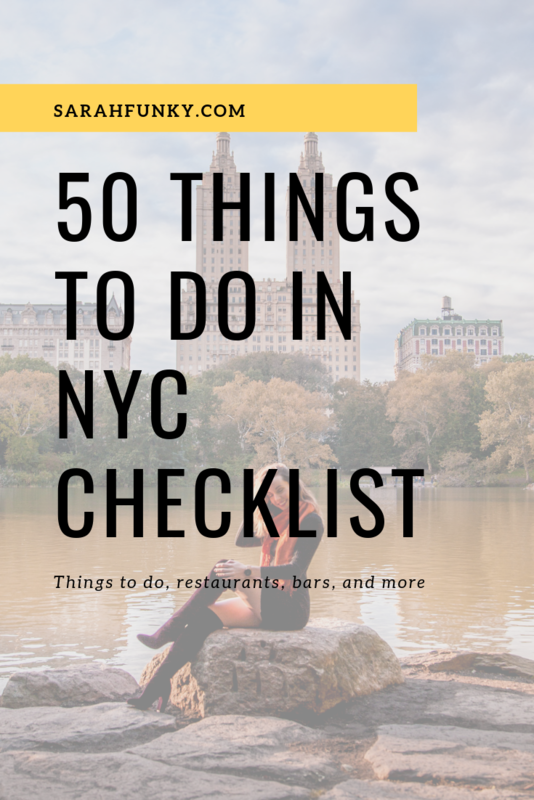 I recommend saving the map to your phone so you can access it as you explore NYC with the checklist. If the map does not load above, please click here. Enjoy your time in NY and please subscribe on YouTube if you haven’t yet!